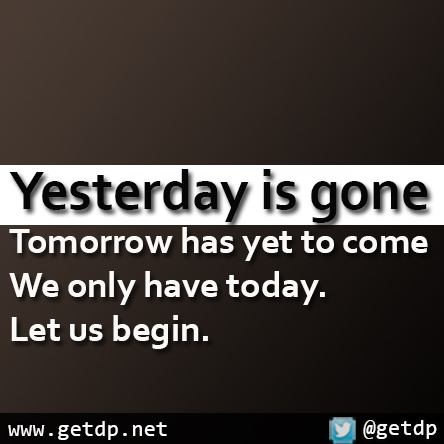 GETDP: Yesterday is gone Tomorrow has yet to come We only have today. Let us begin. Yesterday is gone Tomorrow has yet to come We only have today. Let us begin.